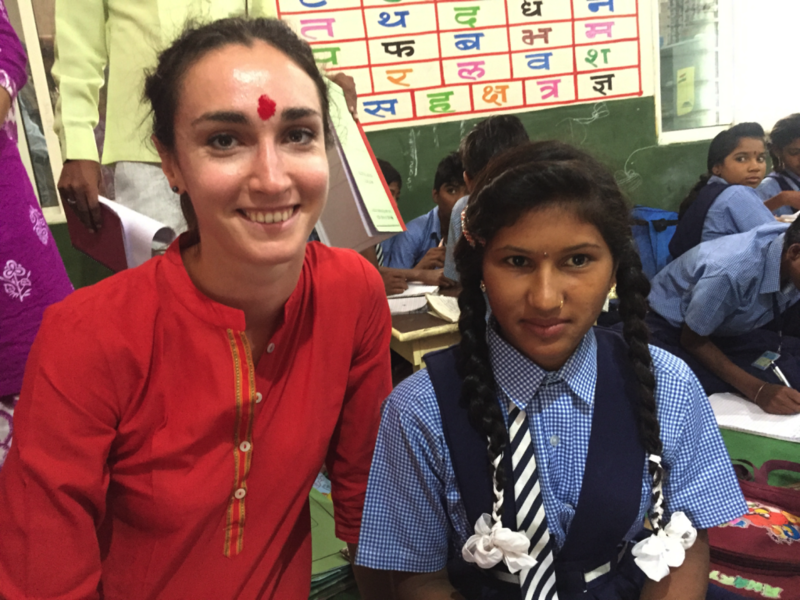 Emilie Compignie, in charge of Development, talks about the success of Humanium’s first projects in India, where she measured the impact almost 10 years after their launch. Sankarapuram was the first village that Humanium and Hand in Hand supported in Tamil Nadu in 2009. The Child Learning Centre was then created as part of a project to support children with difficulties in life. The good news is that now, 8 years later, this centre has been transformed into a regular school because the level of education has increased throughout this time. 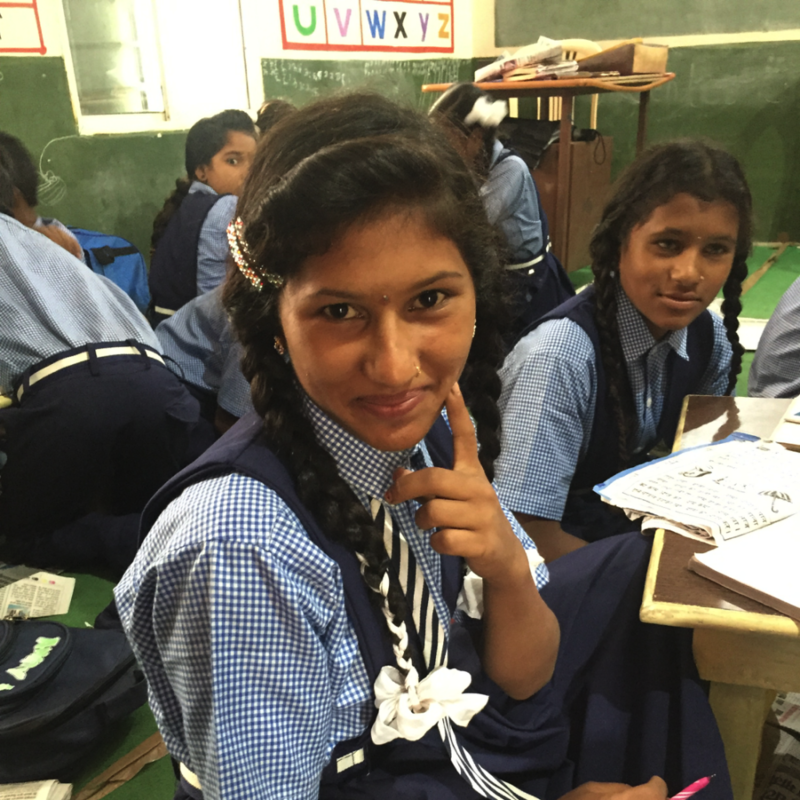 A success story is that Annushya and Prem are in 8th grade now, and both have improved significantly in mathematics. 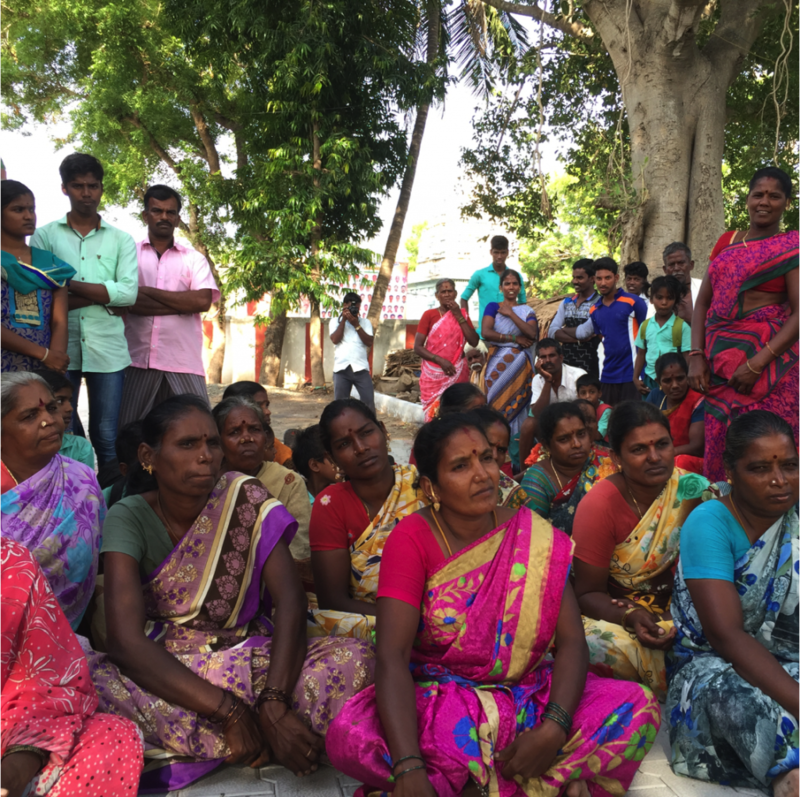 The Women Self Help Group was created back in 2009 in Sankarapuram as part of the project to empower women, and along these years they have learnt about savings, social and family matters, children’s rights, micro-credits and bank loans. They still hold meetings twice a week and continuously have new members joining; 8 years later, they stand firm, strong, empowered, respected and wiser! Finally, I visited Ezhilarasan who was diagnosed with a heart disease when he was 10 years old. 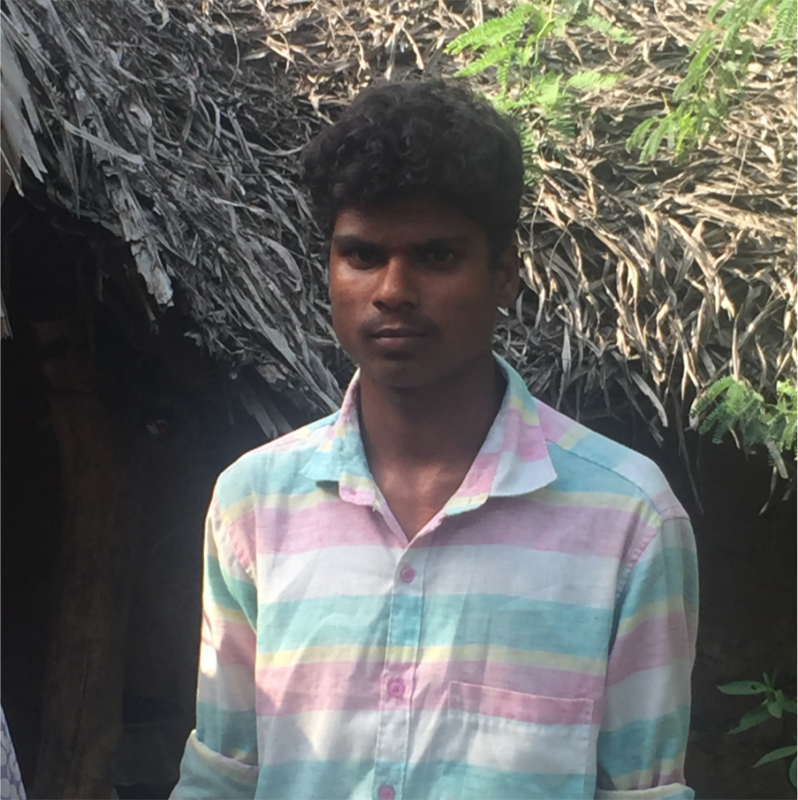 Thanks to Humanium and Hand in Hand India’s support, he underwent the heart surgery, was provided support to go to school, and is now finishing his12th grade in good health. The trip continued in Perumbakkam, where I visited our Child Friendly Village project. The 2-year objective together with Hand in Hand India has been to transform Perumbakkam into a child-friendly village by fostering a healthy environment conducive to children’s physical, mental and intellectual development. 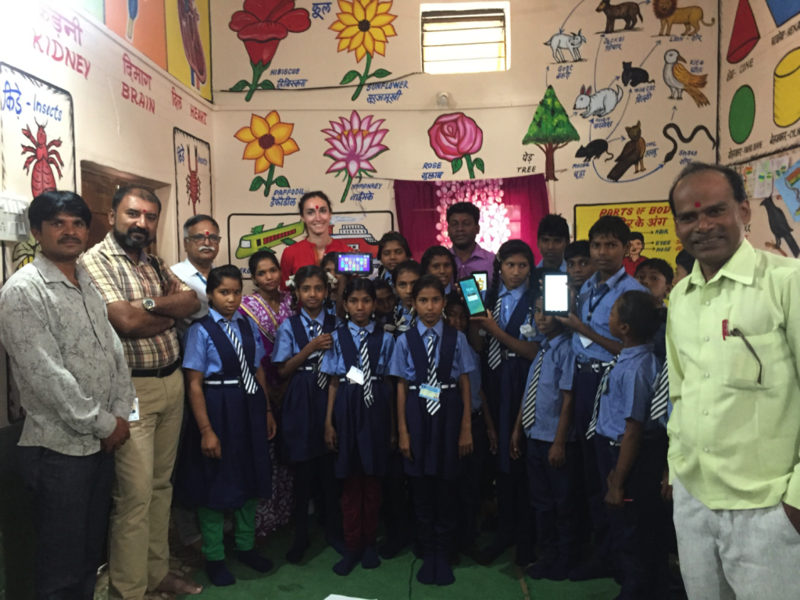 Part of our efforts are centred on bringing an end to child labour and guarantee children’s access to quality education for all, and the Smart Classroom aims to improve the quality of education and the learning environment, as well as the children’s skills and intellectual aptitudes, through fun learning methods. 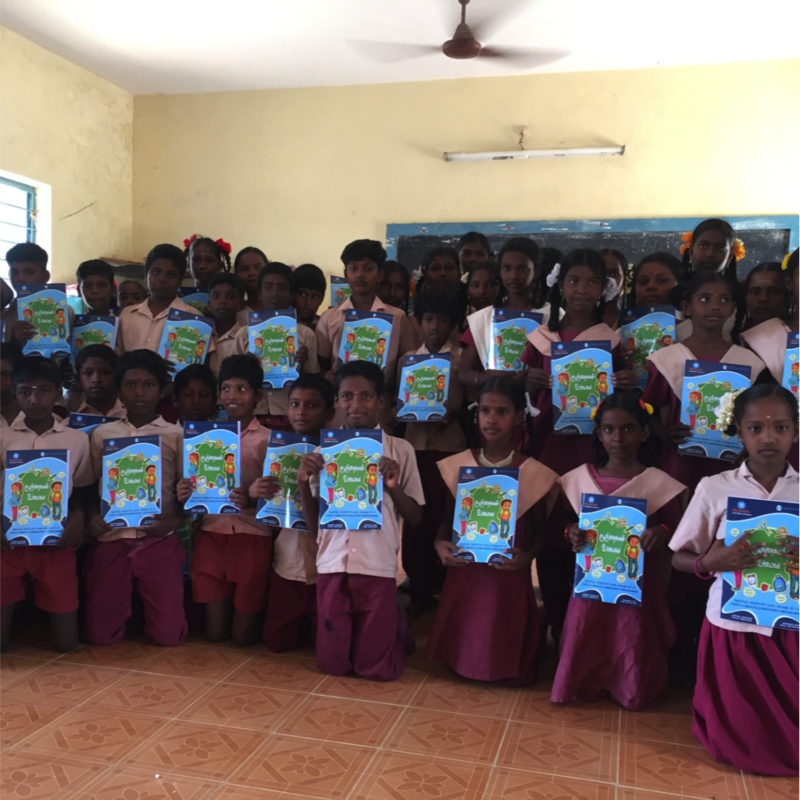 Several Children’s Rights Trainings organised by Humanium, have been carried out with the children in the village of Perumbakkam since the beginning of the year, and the children are now very knowledgeable about their rights. 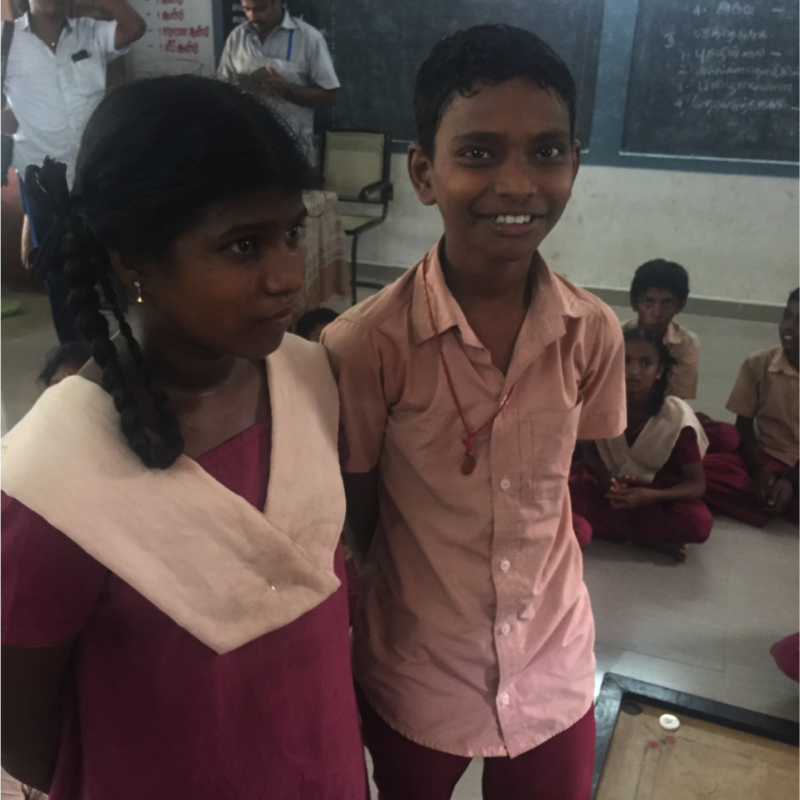 Like Lavanya and Dev, the children even know what to do in case of violations. Moreover, they all received brand new notebooks where they can find detailed information about their rights in Tamil language. All the efforts and the realisation of Humanium and Hand in Hand India’s projects in Perumbakkam, India, wouldn’t be possible without the invaluable support of committed and devoted people from the community such as Manimegalai, and selected community members who conduct a door-to-door survey to provide key information on the inhabitants of the village for an effective implementation of the project. My next stop was Annathur where 8 years ago, Humanium implemented its second project. 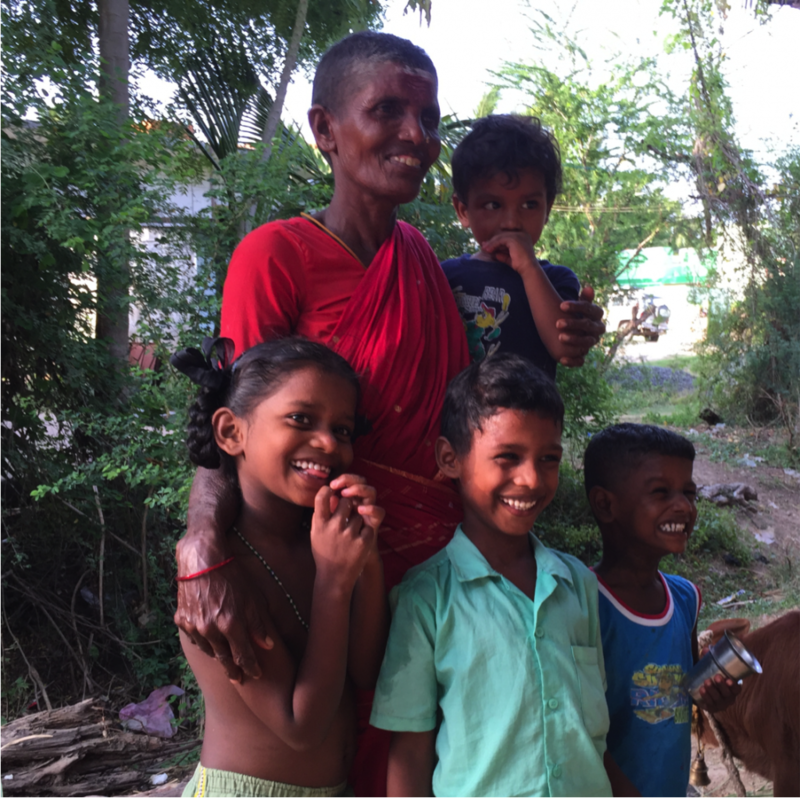 8 years ago when Rasika was 5 years old, her health conditions were not the most favourable, but fortunately her mother approached us and Rasika benefited from our malnutrition programme. Today Rasika is 13 years old and she is a very healthy and happy girl ! 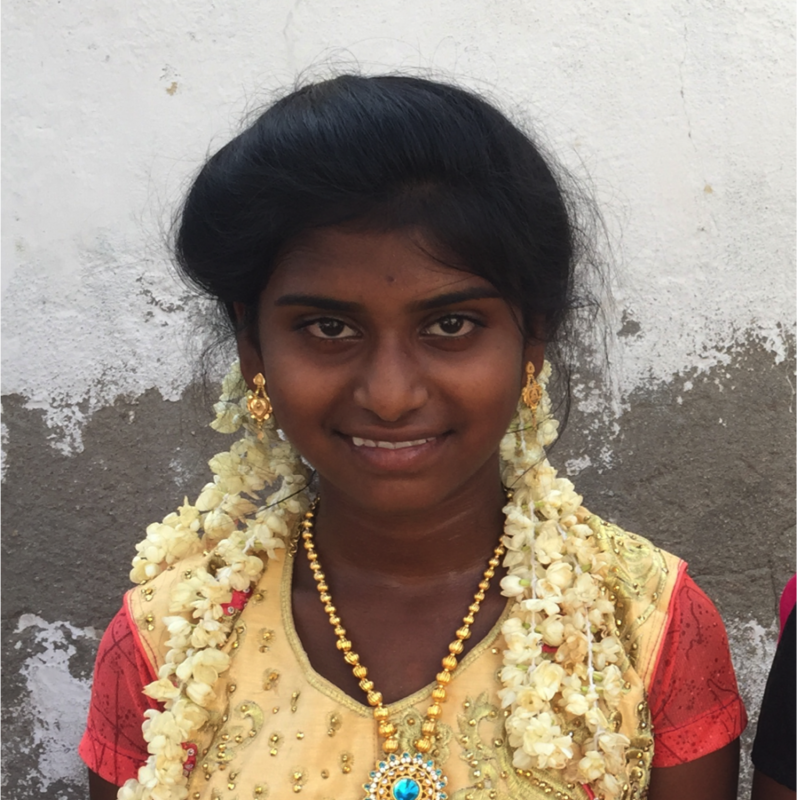 When Janani was 9 years old, she turned up to our Child Learning Centre; Janani wanted to improve her knowledge as well as her grades in Maths and Tamil. 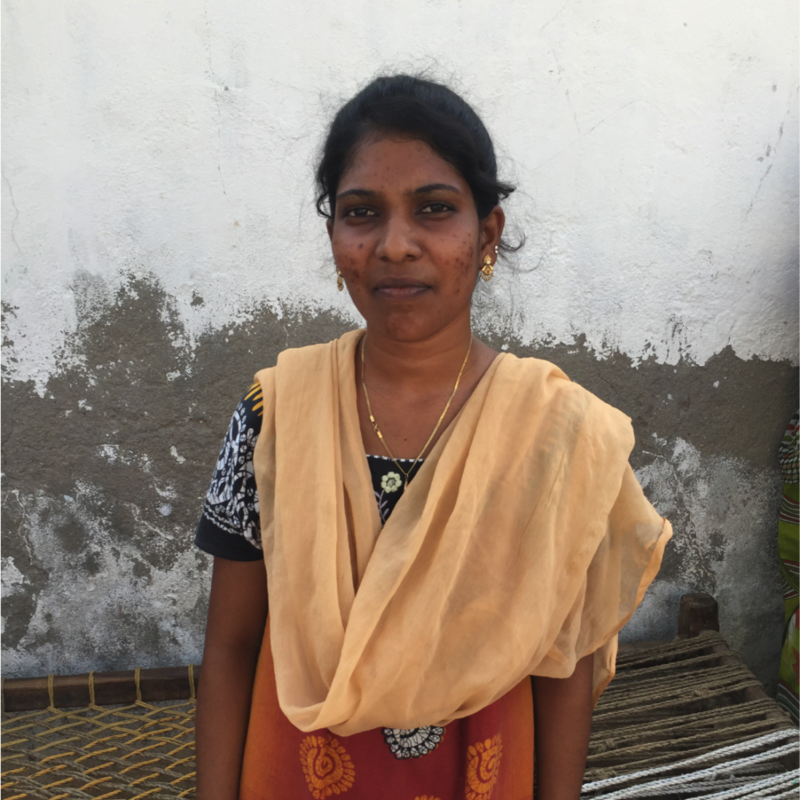 8 years later, Janani graduated from school; she is a nurse and works in a governmental hospital. As for Shermiladevi, Shanthi, Vidhya, Malini and Kathrick, they attended the Child Learning Centre 8 years ago. 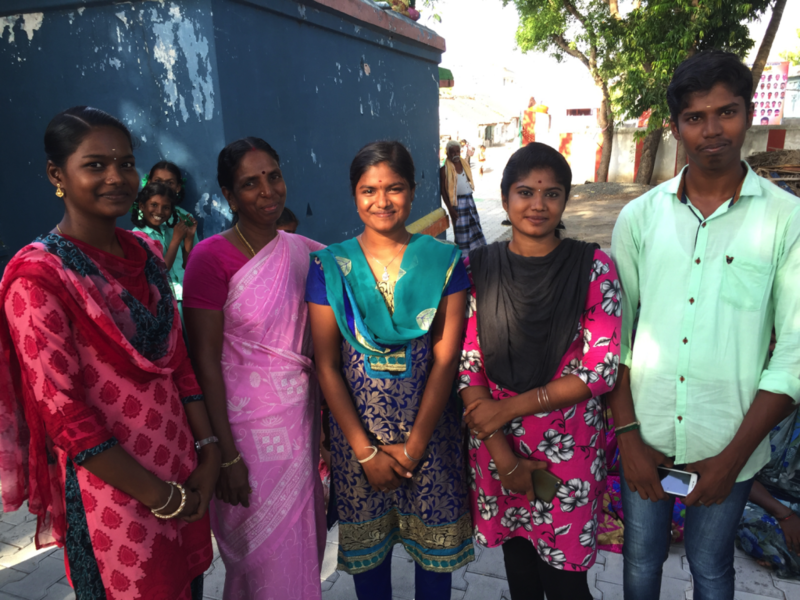 Nowadays, Shermiladevi and Vidhya are studying computer sciences because they want to work in the software industry; Shanti is a school teacher; Malini is doing engineering studies; and Kathrick is doing business administration studies to work in HR. There are currently 22 Women self-help groups in Annathur. They have formed strong bonds and they support each other. They learnt about savings, and now they grant loans to other member themselves. Happily, all of their children are studying, because they can pay for their education. 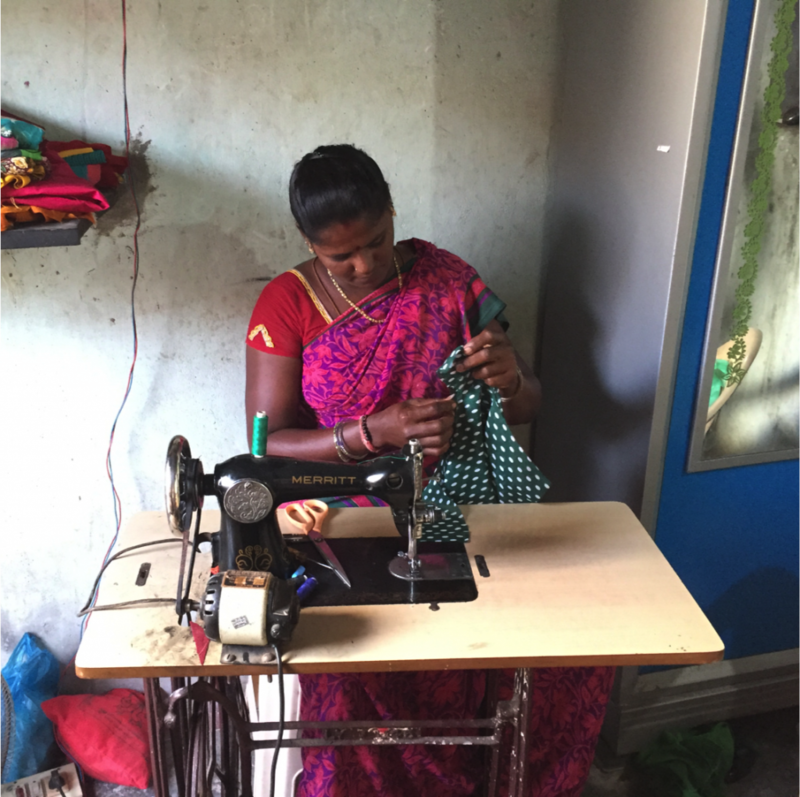 A success story is Chanea Ponnu who was able to buy her own sewing machine and started her own business where she gets up to 200 INR per day. 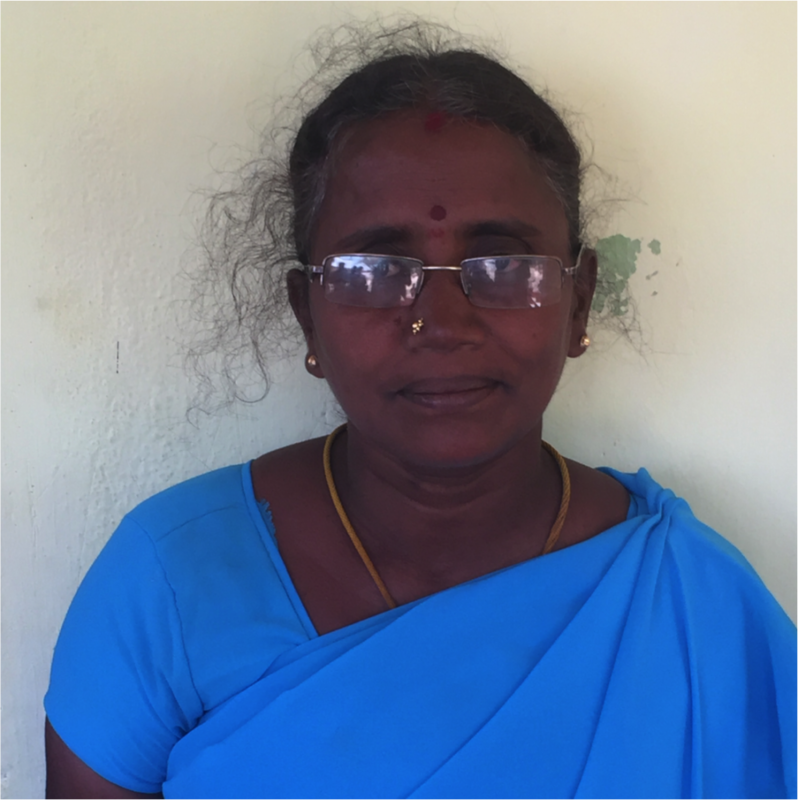 Likewise, Dhana-Lakshmi joined one of the groups 8 years ago, and after the training she received, she was able to buy cows to sell milk; in that way she has been able to support her children to continue their studies. The last stop was in Madhya Pradesh, where I visited our Non-Residential Special Training Centre which started its operations in January; learning by playing is at the core centre of the activities, and is a method used in our special training centres. 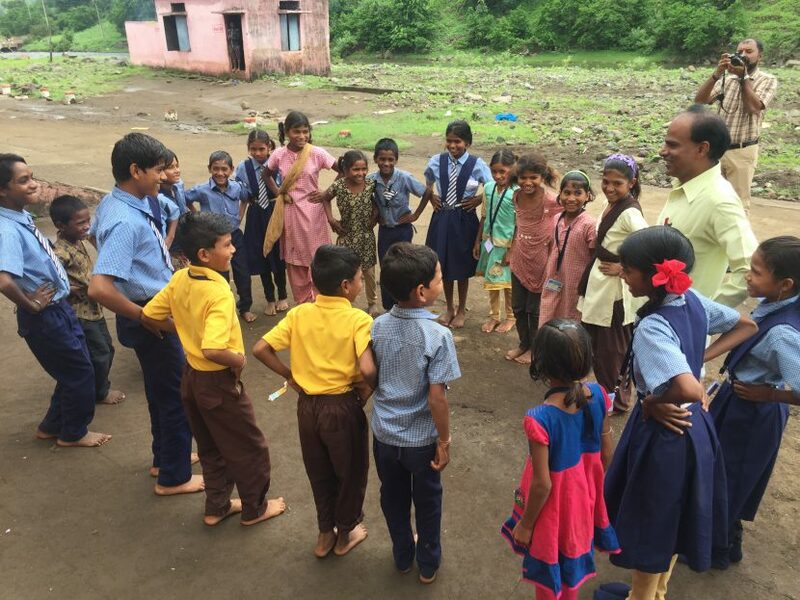 We count on with 26 children enrolled up to date and 9 children have been already sent to regular schools. With the creation of our Non-Residential Special Training Centre, Gayatri has again the opportunity to study and learn instead of working in the fields with her parents. Likewise, Ramshi, a member of the Child Rights Protection Committee, and father of Bhuri, decided to send Bhuri to the NRSTC to continue her education. Moreover, we started awareness raising campaigns about child labour, and we have seen a positive change on the parent’s behaviour towards child labour, as they started to be more interested on their children’s studies. After medical camps and family visits took place, the main needs in each family were identified and they are now given complementary food. The families also received sanitation and hygiene trainings. 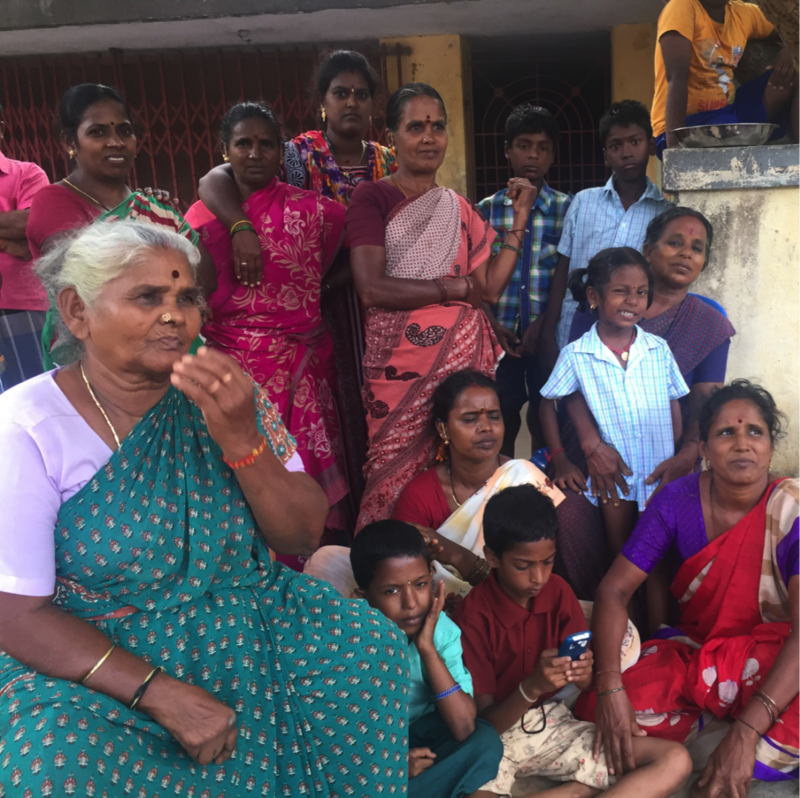 Thanks to our contributors, the villagers of Sankarapuram, Perumbakkam, Annathur and Madhya Pradesh in India have been able to considerably improve their lives; their children are able to have education and hopefully to aim for a better future. Humanium’s team is committed every day, body and soul, to put an end to violence and physical and mental abuse of children around the world. We strive to uphold the rights of every child in the world, educating adults and children about our cause, changing attitudes, and working directly in the field. Visit our website https://www.humanium.org/en/ to learn more about children’s rights and our work, to contact Humanium’s team, and to stand beside us in improving the life of thousands of children throughout the world!